Sitting in the US, watching both the Republican and Democrat national conventions, it is easy to get into a combative mood. Donald Trump’s latest attack was on the independent Commission on Presidential Debates for scheduling two of the three upcoming verbal sparring sessions on nights that conflict with NFL football. Given that there is football on air four nights a week, you wonder what he expects; but hey, that is Trump’s style. In the media sector, it is US mobile phone network Verizon that has been getting punchy. It knows that to grow in such a competitive market is tough, and has decided that the key is adding a bit of Tinsel Town and a dash of Silicon Valley. In the past few days, Verizon spent $4.8bn (£3.6bn) on Yahoo as it wanted the portal’s digital expertise (and advertising market share), having last year spent $4.4bn on buying AOL, owner of The Huffington Post. 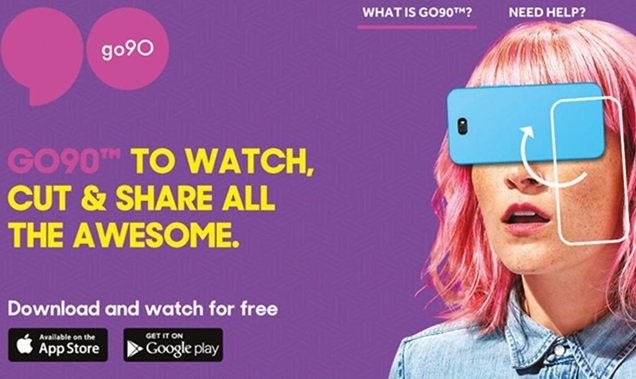 It has also ramped up a video app called Go90, laying out US TV network- style money to commission exclusive content. Arguably its highest profile commission is Matt Damon and Ben Affl eck’s short-form reality series The Runner, in which contestants cross the US while trying to elude capture by other players and viewers. Verizon’s aspiration is to become a digital powerhouse – the Viacom of tomorrow. By commissioning exclusive content and using top-of-the-line advertising technology it plans to lure new subscribers, especially younger ones who rely increasingly on their mobile devices for everything, including their entertainment. It is this audience that advertisers especially want to reach. But can Verizon compete with Facebook and Google for advertising dollars and with broadcasters for content? Analysts say that with Yahoo and AOL together, Verizon will control a little more than 5% of US digital ad spend, a slice of the market that pales in comparison with Google’s 39% and Facebook’s 15%. On the content side, however, the idea of creating exclusive and premium content for mobile devices is starting to take hold on both sides of the Atlantic. In the spring, France’s Vivendi announced its move into premium mobile content creation through its new Studio Plus unit. Verizon also owns a stake in AwesomenessTV, which produces short-form content with YouTube stars. It also recently struck a content deal with ITV, and in March it teamed up with Hearst Corp to launch youth programming. Consolidation between mobile, online and pay TV companies in the US is running apace. Verizon landed Yahoo ahead of one of its biggest mobile rivals, AT&T, which had already acquired the pay TV company DirecTV for $49bn. Similar moves are also afoot in Europe where Vodafone has bought cable TV operators in Spain and Germany and partnered with Liberty Global in Holland to bring mobile and cable pipes together. Back in the US, The Runner has attracted more than a million viewers, which is not earth-shattering compared with even a modestly successful US TV network show, but Verizon is betting that marrying mobile technology and content is a distinctive USP. Just look at Pokémon Go. !